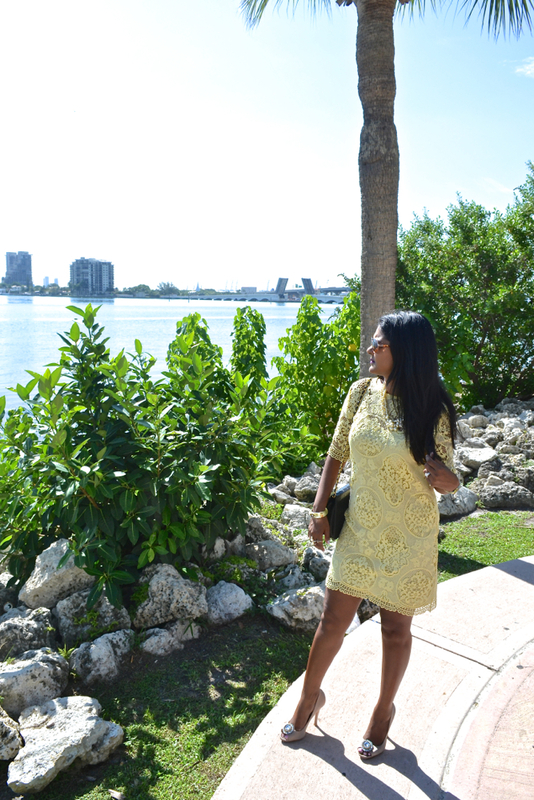 Over Labor Day weekend, I headed to Miami for a childhood friend's wedding. I was her matron of honor and she was my maid of honor last year for my wedding. I started this blog hoping to inspire and encourage others to be happy with what they wear. I didn't realize what other ways I also inspired those around me. I found out that my friend was inspired by my wedding and all the extra parts that I added that she wanted to include them in her wedding as well. It was so flattering to see the Tassa band outside the church and steel pan player during the cocktail hour. These musical acts are big in our culture and I am happy she could incorporate them into her wedding as well. The best part was when I was surprised to find out my niece was doing a contemporary Indian dance at her wedding reception. The dance was beautiful and I am happy I could inspire and help create such a beautiful day. For the rehearsal brunch, I wore this Zara lace number. I am such a huge fan of Zara. Their clothing fits very well into my life, between work and social events, I can always find something there. 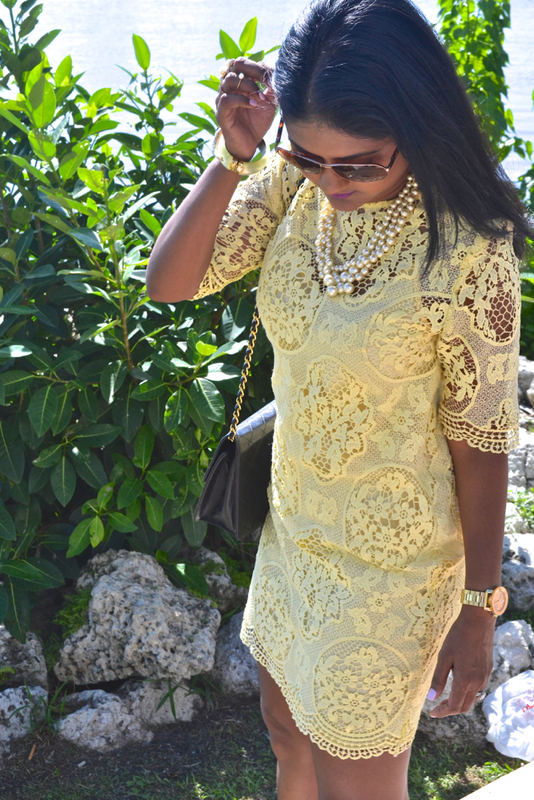 This lace dress was casual yet elegant for this gorgeous sunny day in Miami. Another great note about this dress, it goes so well with my wedding shoes! I am always happy when I have the opportunity to wear these shoes. They always bring such great memories with me! They are my favorite pair by far. Do you have a pair that always reminds you of something special?